with a minimum focus distance of 2.5 meters, this lens does not really get much use from me as it is too long for indoor close-ups, yet a little too heavy for me to frequently want to carry it along for outings. adding extension tubes helps to shorten the focus distance, but then it became front-heavy, and at this focal length is not easy to hand-hold without good lights. 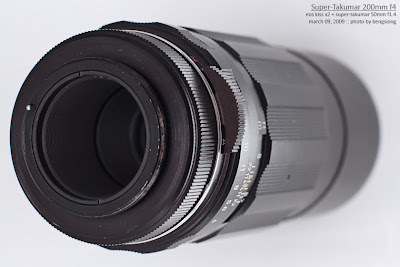 the lens extends roughly 2cm on focusing from infinity to closest focusing distance. the front element does not rotate during focusing. 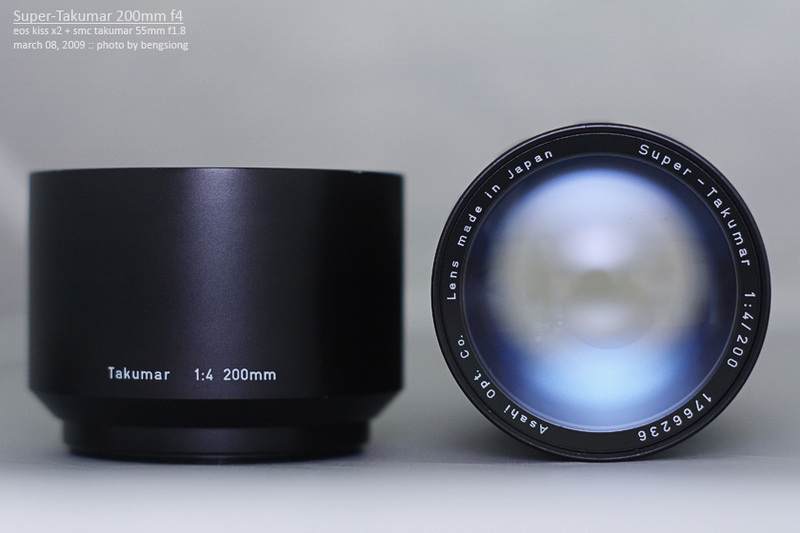 it takes 58mm filters rather than the 49mm size common on most takumar lenses. 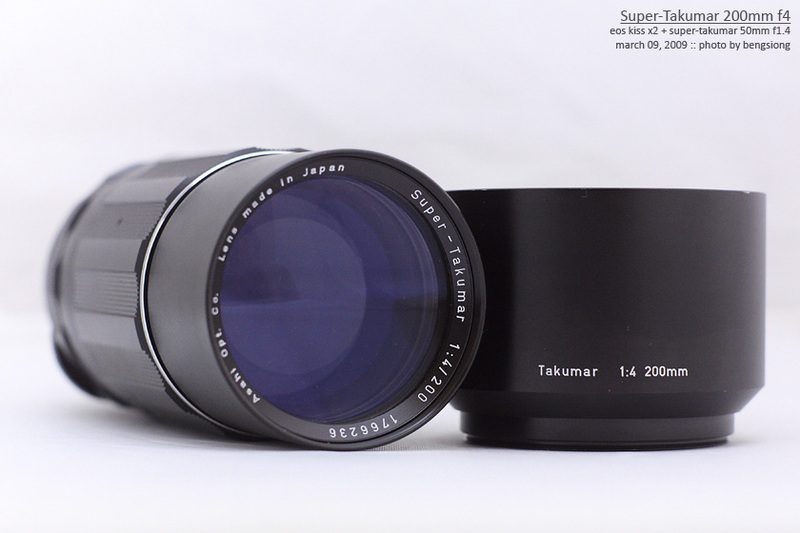 the front element gives off a bluish reflection, while the rear element is deeply recessed into the lens body, similar to super-takumar 135mm f3.5 lens. photos: body markings, and rear view. based on the serial number which starts with '1', i believe this unit is from a very early production run. 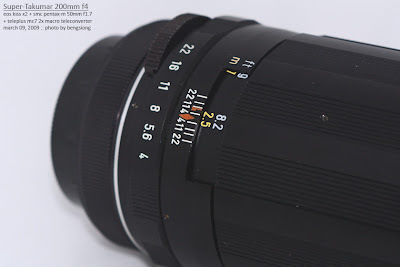 even the dedicated metal hood only has marking for takumar 200mm f4, whereas in most photos of the lens that i've seen, the hood has markings for both takumar 200mm f4 and 135mm f2.5 which both share the same hood.